With Creative Fix, Sheryl Oring asked artists and creative thinkers what they would do to fix the country if they could do anything at all, then taped one-minute responses and posted them on YouTube. 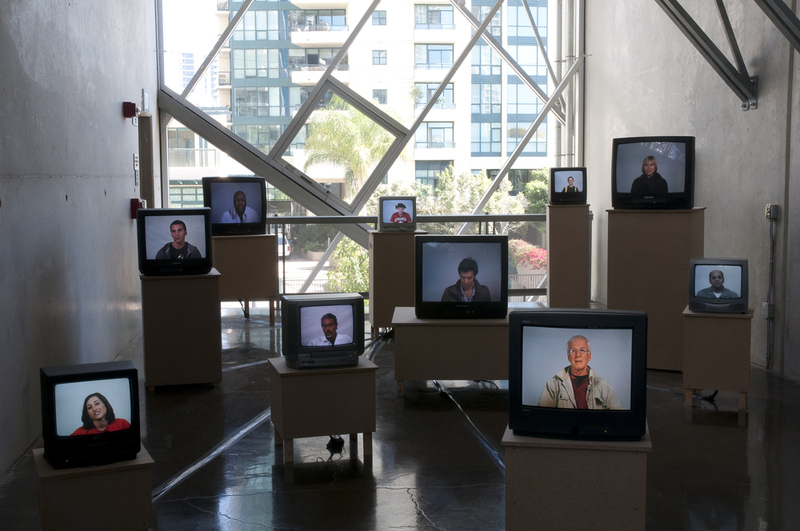 A video installation was featured at The New Children's Museum in San Diego. During this installation, area teens were invited to submit "fixes" for their neighborhood or city. The idea for Creative Fix grew out of Oring's experience of doing "I Wish to Say" events in 2008. For this, she set out to gather public opinion during the 2008 presidential election by setting up an office complete with a manual typewriter in public places and inviting passersby to dictate postcards to the next president. Many people spoke out for change, and I feel the challenges facing this nation demand attention from more than just the usual suspects. Artists, Oring believes, can offer a fresh perspective on many of the most pressing issues of the day. In other parts of the world, artists play a legitimate role in politics and political debate. In the U.S., however, artists are seen as suspect. Oring would like to do one small thing to change this and bring more creativity to American politics.